The 2018 started from a trip to Saint Petersburg in February. At that time, I haven’t knew what program I will demonstrate: 5th or 6th. At the end, I decided to show the 6th. I had a wavetable pool around 500 wavetables to that moment. I played all wavetables, initiated the Ether and mostly satisfied with this trip. Saint Petersburg gave the direction: to evolve system without kick drum further. At that time, I already developed fully silent system, which doesn’t produce sound at all. To such system, I attribute RAD96, which is 2018 development. I am glad to announce the Compositor 4 Autumn Sale! 30% discount on Compositor 4 program and 50% discount on Beta Bounces pack! 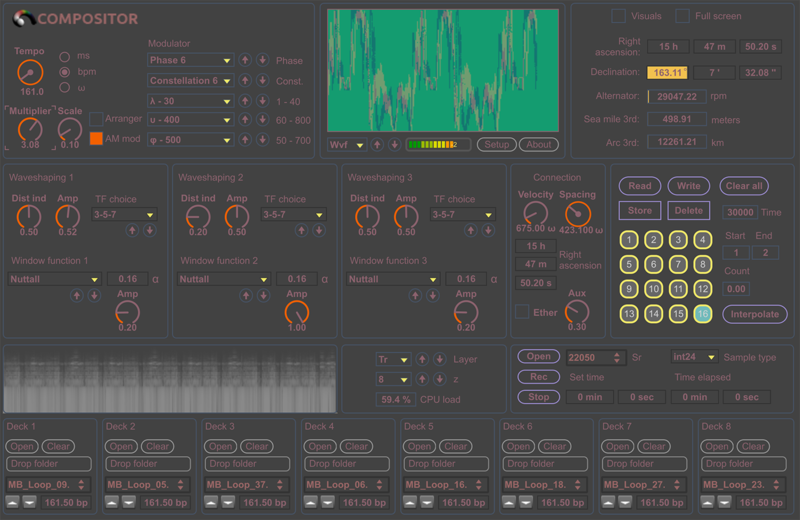 Good opportunity to buy the exclusive algorithmic software for a lower price! Compositor 4 is already in the shop! Big work have been made after the release of Compositor 3 through the spring, summer and autumn of 2017, which includes 5590 new lines of code and devices profile library in a standalone version. Compositor 4 Max for Live also changed a lot. 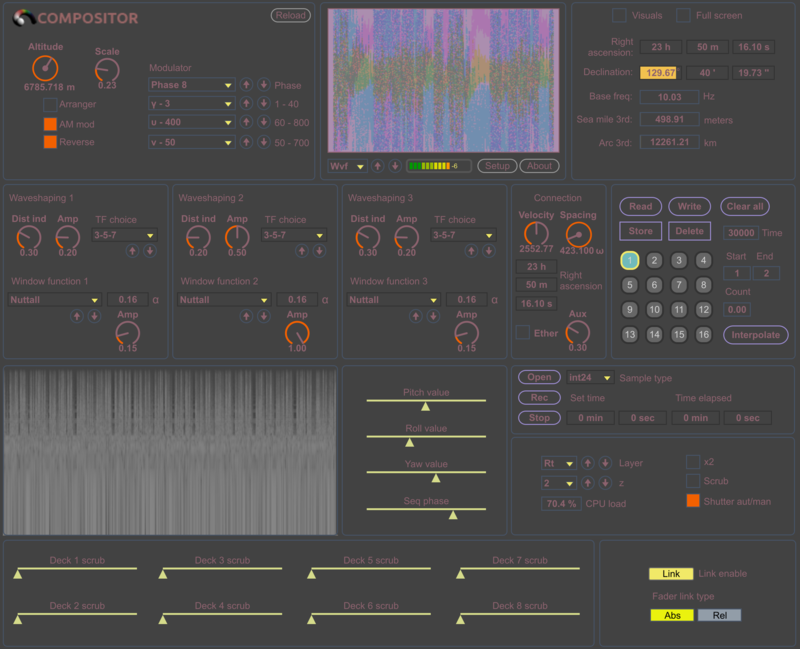 Now the instrument works in 64-bit version of Ableton Live 9 and is a unique master processor as an audio effect and generator, synthesizer and sequencer as an instrument.